In addition to the map marker salt & pepper shakers, the Game of Thrones table runners are another way to add more fantastic aesthetics to your table. Like the idea? Let’s keep checking. 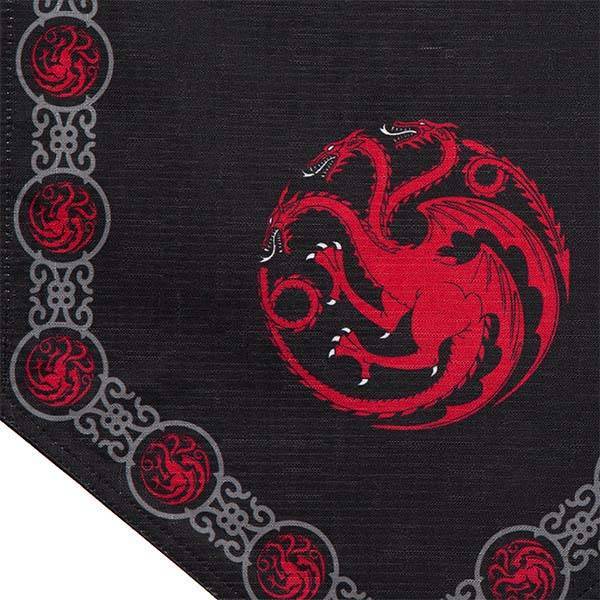 This is a set of officially licensed and pretty cool table runners inspired by Game of Thrones. As we can see from the images, the table runners highlight three ancient houses on Westeros including House Stark, House Targaryen, and House Lannister. Each table runner features the iconic colors and sigil of one of the three Houses. Each sigil shows off accurate and meticulous detailing from its original looks, and those decorative patterns add more classical aesthetics. 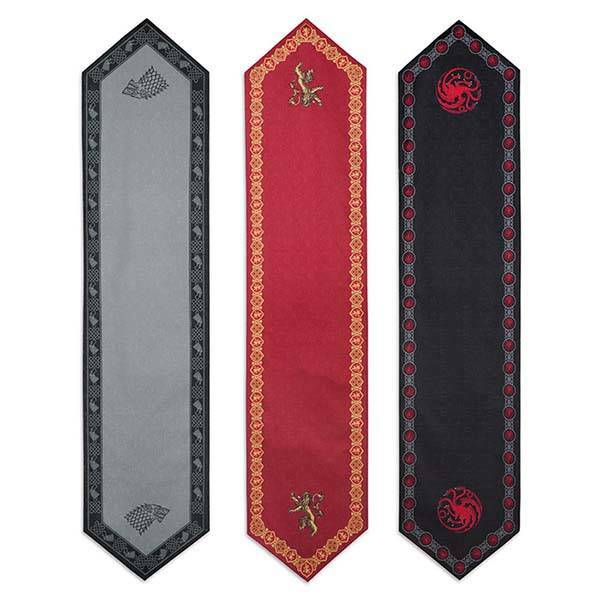 The Game of Thrones table runners measure 72″ long by 16″ wide each and are made from 100% polyester, so they are ideal for various tables, which allow you to serve your guests a Game of Thrones themed dinner. 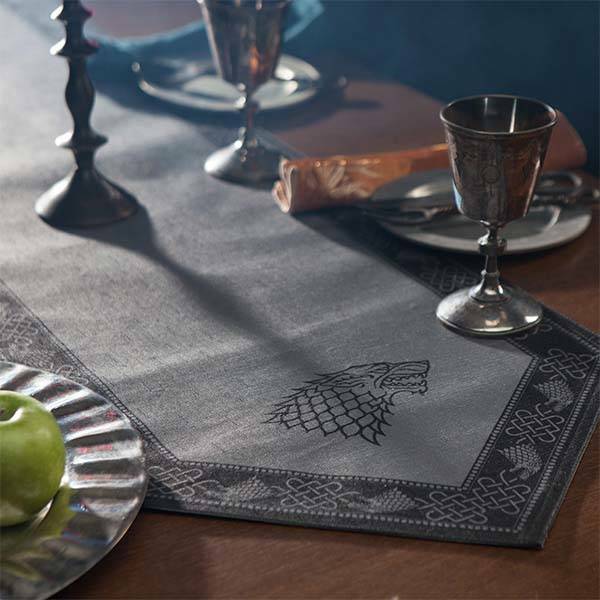 The Game of Thrones table runner set is priced at $49.99 USD. If you’re interested, jump to ThinkGeek for its more details.